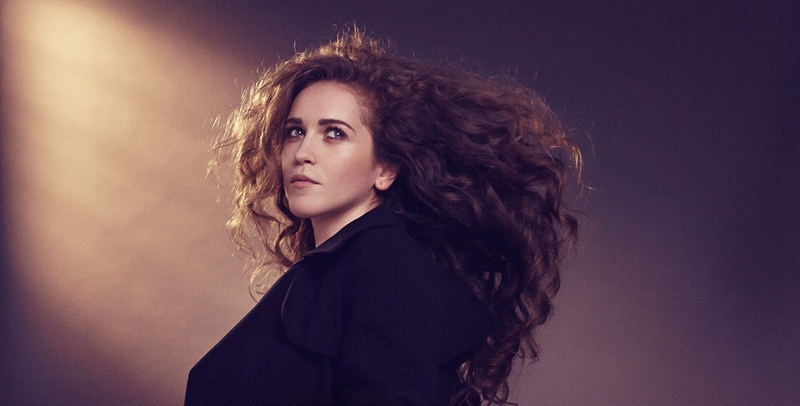 21 year old Rae Morris is one of the most exciting emerging singer-songwriters in the UK; backed by an emotive voice and natural song-writing ability, success is undoubtedly only a matter of time. She’s already been featured in the BBC Sound of 2015 Longlist even without an album to her name, on Spotify she’s had close to a million plays on her tracks ‘Closer’and ‘Grow’. As if that’s not enough, during her “incredible” 2014 she featured on a Clean Bandit track, ‘Up Again’ for which she wrote the melody and the lyrics and which was featured on their highly successful album New Eyes. She also added George Ezra to her ever growing list of indie music stalwarts but 2015 threatens to be her year with a debut album, Unguarded out on the 26th of January, and a headline UK tour. Understandably for Morris, it’s “such an exciting time”, at a young age she’s already staking a claim as one of the best female singer-songwriters currently working in the UK scene. If you haven’t had a chance to hear her latest track, ‘Under The Shadows’, make sure you do as soon as possible. As the interview went on, Morris’s love and passion for music becomes abundantly clear. She describes how music was a constant in her house, records were always playing and in that atmosphere her love of music blossomed. Upon hearing these songs she recalls wondering “what are these songs? What even are they? And I started exploring them in my own way and then I got an iPod shuffle and just filled it. People like Bjork and Kate Bush have always been massive inspirations, and I kind of just fell in love with female artists.” Taking piano lessons from an early age helped to develop that love and her own musical ability, something she honed studying music and drama in Preston, and working with and supporting some of the biggest artists on the British music scene. Following the path of all the best singer-songwriters, Morris cut her teeth with relentless gigging in Preston, Blackpool and here in Lancaster at the Ring o’ Bells. “I remember just doing quite a few terrible open mic slots and lots of pub gigs, but I’m really thankful for those opportunities”, Morris explain. Since those early days, Morris’s gigs have grown bigger and bigger. In the past she’s supported Bombay Bicycle Club, Noah and the Whale and Tom Odell and is excited at the chance to headline her own tour. “The touring band formed really naturally and I really love working with all them, which is so important”, she remarks. Previous articleRussell Brand for MP?